With great power comes great responsibility. 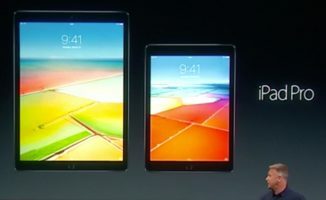 The current crop of iPads are stronger than ever, but have iOS DJ apps caught up? We round up our five best from pro to casual. With great power comes great responsibility. The current crop of iPads are stronger than ever, but have iOS DJ apps caught up? We round up the five best from pro to casual, including the one on the iPad Pros used by Juicy M pictured here. 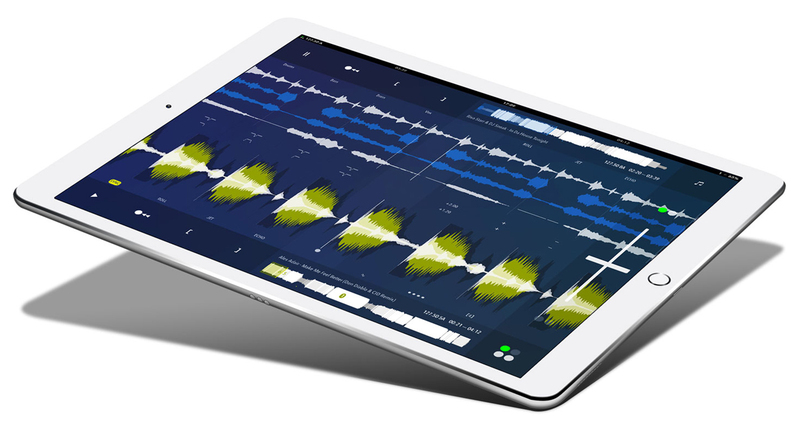 It’s been a little over a year since we published our first iOS DJ app roundup, and quite a bit’s changed for the platform: the introduction of the iPad Pro brought desktop processing power to mobile, plus the bump in maximum hard drive space to 256GB for the new iPad Pro 9.7″ brings iPads closer to laptop spec than ever before. We’re all just practically waiting for iOS to catch up with all this power! 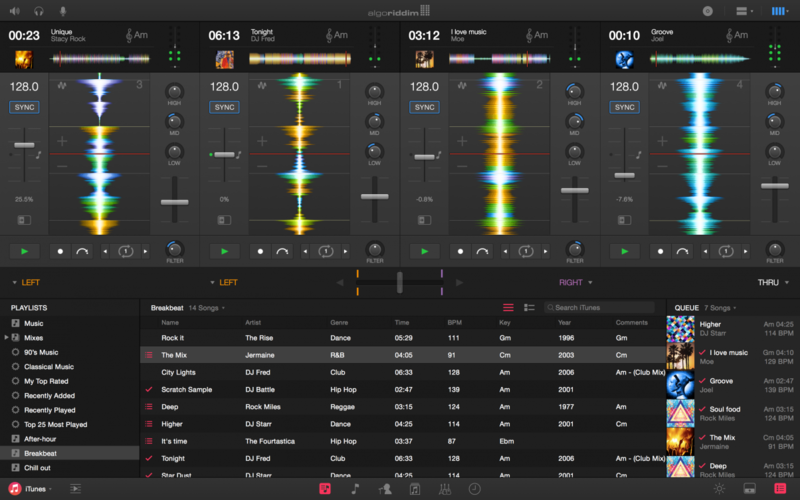 In this roundup, we bring you five of our top iPad DJ app picks for 2016.
djay 2 was one of our top iOS DJing apps, but the new djay Pro really brings gig-grade performance, features, and muscle to the iPad, whether you’ve got the new iPad Pro or even an iPad Mini 4. Four-deck mixing, video, and controller support from Pioneer DJ and Reloop mean you can use both the touch screen and hardware controls to your heart’s content. Drop in the ability to stream music from Spotify into the mix, and you’ve got a full-featured DJ app that rivals even its desktop counterparts. Currently the “pro” app to beat. 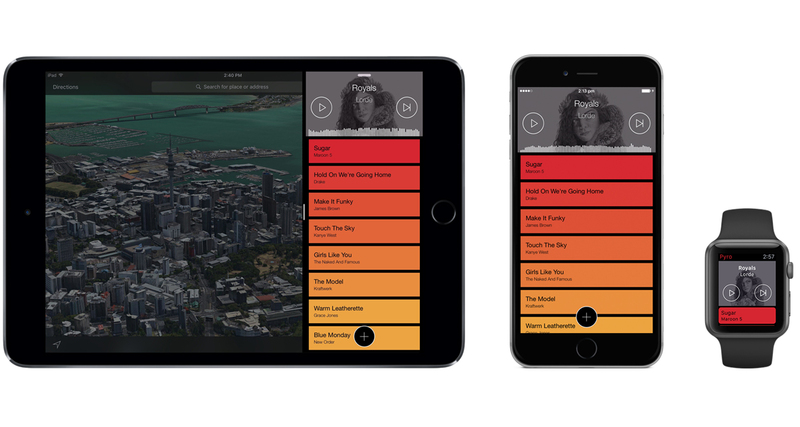 We’ve previously called DJ Player the “Traktor” of iOS DJing because of its deep level of mapping, customisation, and usability. You can hook it up to a Midi controller and create your own custom mappings for use along with the iPad or iPhone’s touch screen, plus you can even configure it to work with a DVS of your choice. Currently, it’s the only iOS DJ app that lets you mix with Stems, proving again the app’s “tweakhead” pedigree that fuels its loyal base of users. Cons: The user interface has got a lot more appealing, but it could still be a bit confusing for some beginners. Not the app of choice for those who simply want to mix two songs together with a minimum of fuss. Another app that’s jumped on the “pro” bandwagon is Cross DJ Pro, which has evolved to become one of the better-looking DJ apps in the iOS space. It’s got the usual plethora of DJ features like sync and manual beatmatching controls, but Mixvibes has done a great job of cleaning up the interface here to make it easy to use, even on smaller iPhone screens. It also lets you stream music from SoundCloud, as well as letting you upload your mixes straight to Mixcloud. 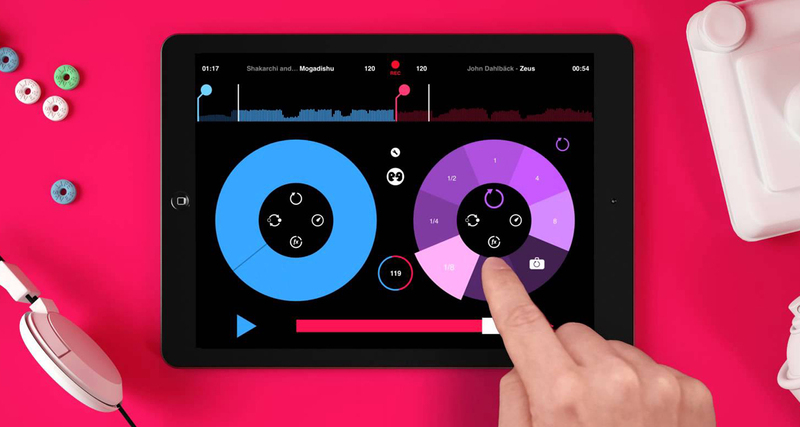 One of our favourite “casual” DJing apps on the iPad. It’s really easy to use, got the simplest interface of the lot, plus it’s also got Spotify integration which makes it perfect for house parties when you just don’t want to leave a playlist on in the background. You can get extra effects, skins, and added functions through in-app purchases, but it works fine as is. Serato’s take on auto playlist building takes it one step further – it actually beatmatches the songs and mixes them for you. Cool little app with Serato in its DNA for long drives and get-togethers, and also a cool way to passively discover new tunes and how they’d mix with each other. Some may be wondering why Native Instruments’ Traktor DJ app isn’t on the list. It was in our roundup last year, but in 2016 it’s facing some pretty stiff competition this time around – most all the DJ apps here have improved vastly, either through feature updates or complete graphic overhauls. Traktor DJ has stayed the same for the most part, in fact the last update to the software was back in February 2015 (according to iTunes), including the continued absence of the oft-requested metadata sync between Traktor Pro 2 and Traktor DJ that was once a feature of the app but was removed – this was one of the come-ons of the app because it let you prepare tracks on your iOS device and sync it to your laptop. Pacemaker’s perhaps the only one that’s stayed the same, but it’s aimed at more casual users whereas Traktor DJ is for “pro” purposes. Traktor DJ is still a great iOS DJ app though, it’s just that the lack of new features like music streaming have made it look somewhat dated compared to the other apps in the iOS DJ space. 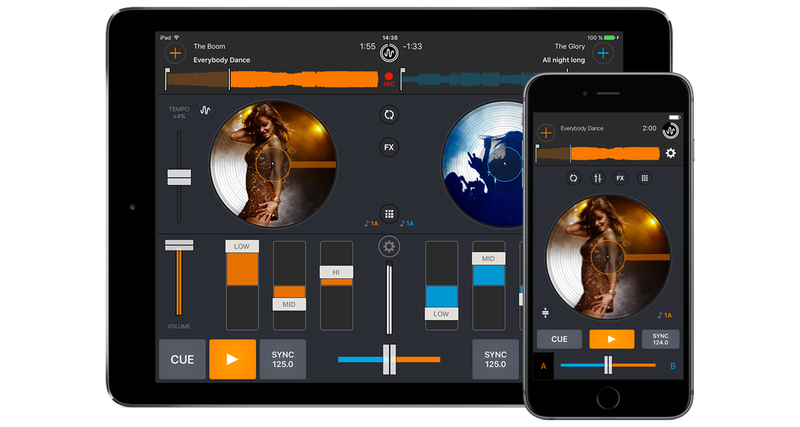 We’re starting to see DJing in the iOS space mature: apps like djay Pro and DJ Player Pro are gunning for power-hungry DJs who want to do more than just mix two songs together on a touch screen. Add to that the new USB 3 To Lightning Connector, which lets you charge your iPad while you DJ, as well as the expanded 256GB hard drive of the new iPad Pro 9.7″, and you’ve got the makings of what could be the most viable laptop replacement solution for digital DJs, although it’s still too early at this point in time to say whether or not that will become a reality (creatures of habit that we DJs are!). Coupled with iPads (and tablets in general) ageing as a platform, we’re seeing less innovation on the hardware itself, but this could also be the plateau that app developers need in order to catch up and create an even more stable, professional DJ experience on it. What other iOS DJ app do you think should be on this list? 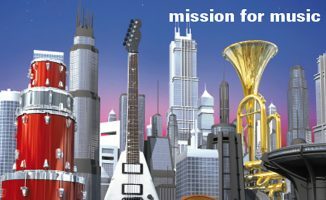 Any app here that you own and enjoy gigging with? Let us know below. Traktor DJ no where in sight. Shame as it started so well. I know use Djay pro and Djay 2 with my Beatpad 2 and love it. Sold my Traktor s4, s2 and f1. No wonder Traktor DJ is not on the list, The app is actually great and the integration with S2/ S4 mk2 is great, feels like 1:1 response. I always carry my ipad for backup player with my S4 TT setup. NI’s problem is that they do not regularly update their App just like their Traktor Pro / Scratch. Traktor DJ need to add more detailed feature such as autoplay, Sampler, etc2 like DJay & Cross DJ alike.. So I’m not the first to notice Traktor DJ’s conspicuous absence from this list. 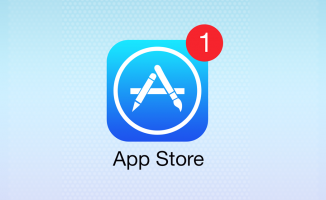 Such high hopes for that app, but mostly for its touted Metadata Sync features that were broken by iOS 7’s release. So without Metadata Sync, there’s no prepping tracks and playlists for playing out on your computer setup. I’m just not interested in working through Traktor DJ’s quirky workflow, so it all comes down to features that are no longer offered. Not sure whether to point my finger at NI or Apple, though.